How to speed up communication between dies in a package. In turn, demand is increasing for faster processors and the ability to exploit the benefits of smaller nodes like 7 nanometer (nm). But as we all know, chip manufacturing and design costs increase with each node. For example, if you’re on a 7 nm node, mask cost could be upwards of about $10 million, making the impact of even a single re-spin a critical swing factor in the overall cost of chip design. A brainchild of DARPA, the idea of chiplets has been in existence since the 80’s. However, it’s attracting considerable attention now as the industry is forced to look at alternatives beyond traditional monolithic solutions. 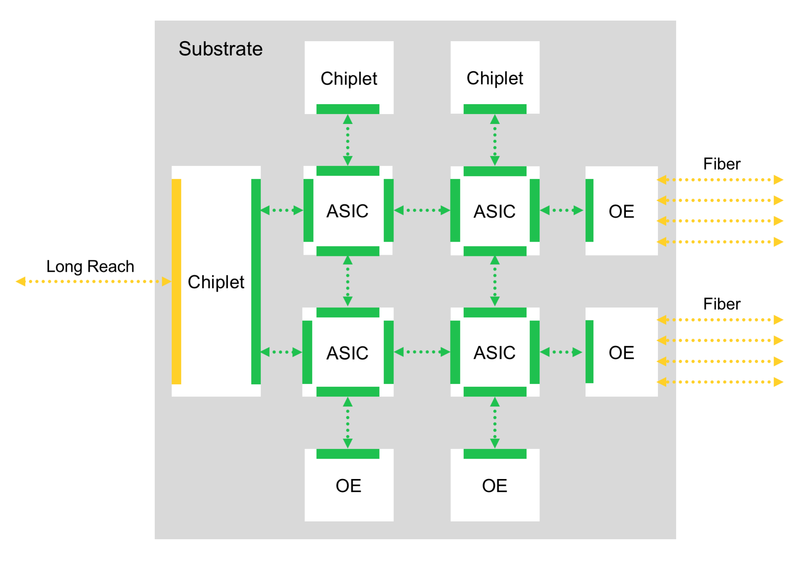 One approach the industry is investigating is the idea of chiplets on a substrate to reduce the cost of complex semiconductor solutions. Both use cases bring major advantages. One, it optimizes the SoC yield by breaking large SoC into better yielding smaller dies due to geometric function. Two, it allows companies to do modular designs and create variants of a known good product. Die-to-die interconnect IP is the key to having a successful solution with a multi-die approach and there are some key design considerations to take into account when thinking about an optimal design for such an IP. One key requirement is low power, as additional power is considered overhead. Additional requirements to consider include, high throughput to enable high bandwidth data transactions and area optimization, especially on beachfront. Lastly, very low latency is required for some applications.